Credit: NASA. Download this image (JPG, 53.4 KB). [23-Aug-18] Scientists prepare to recover one of the eleven Neutrally-Buoyant Sediment Traps (NBSTs) deployed during the EXPORTS cruise. Researchers worked to bring in all of the traps onto the R/V Roger Revelle from sunset to sunrise. 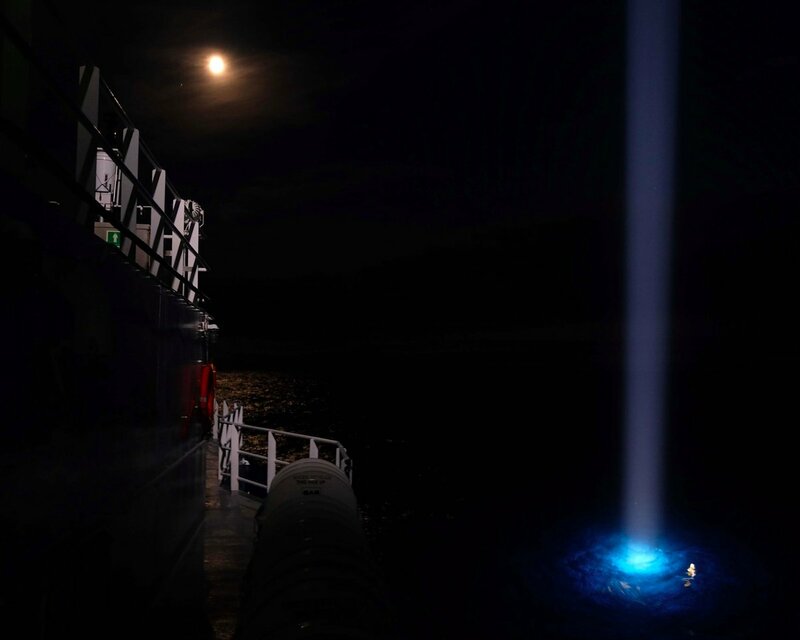 The light shining underwater to the right of the image is the location of an NBST waiting to be retrieved.